Bringing the taste of italy into your home! THE BAKER. Riccardo "Pete" Alaimo was born in Messina, Sicily and grew up in Palermo where he started training in the art of baking at the age 13 at his uncle Tottucio's shop. In 1990, Pete decided to move to the states with his wife, Patrizia, and his two kids, Alessia and Francesco, to further his baking career. His first job was at Ferraro Bakery in New York City where he concentrated his skills on cake designing. His talents took him through several bakeries in New York and New Jersey including Carlo's Bakery in Hoboken. 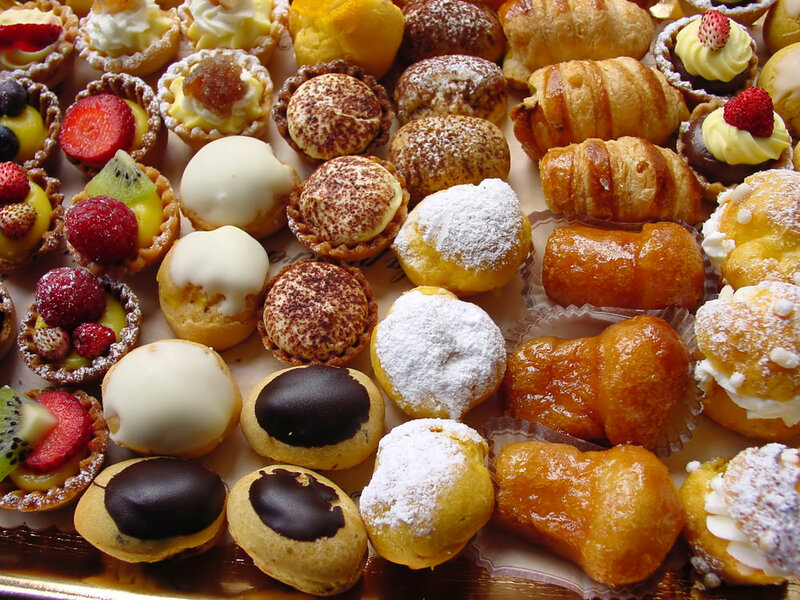 At Carlo's bakery, Pete was able to focus on more Sicilian traditions, which he is well known for. 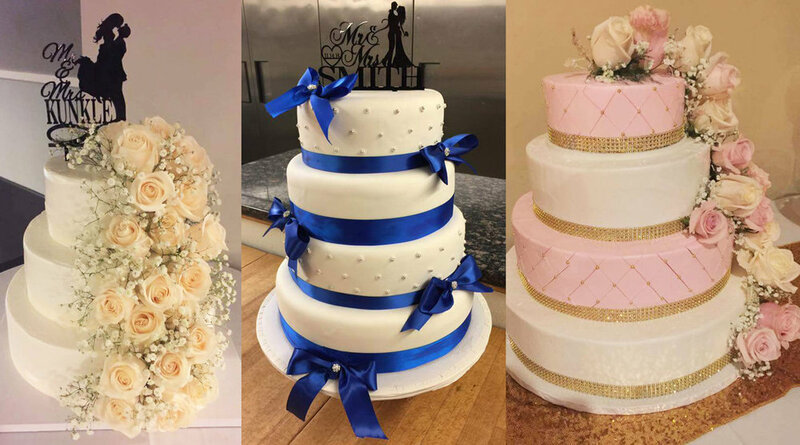 His specialties include Sicilian Cassata, Sette Veli Cake, Italian Rum Cake, Pastareale and 7-tier wedding Cakes. Pete has many hobbies other than owning and baking at La Dolce Vita. In his spare time, He will always be found in his home office either rearranging his gun collection or packing his shells to get ready for hunting season. ALL ORDERS are gladly taken with at least 48 hour notice. We will customize any cake and will do our best to accommodata any special requests. If you do not see a certain item on our menu please ask us to see if it's avalable. Thank you, La Dolce Vita! Traditional dessert, a puff pastry base topped with a layer of pastry cream covered with sponge cake soaked with benevenuto liqueur. Delicious cream filled puff pastries covered with your choice of coffee, chocolate, or strawberry Chantilly cream. Two layers of sponge cake soaked with Maraschino liqueur filled with apricot cream and garnished with rows of almonds on top. Traditional Sicilian dessert; a composition of sponge cake and ricotta cream dipped in a sugar glaze and decorated with assorted candied fruits. Fragrant short pastry filled with two layers of rum-soaked sponge cake and cannoli cream filling decorated with strips of short pastry dough. Classic Austrian apple strudel; a roll of puff pastry enveloping a delicious mix of apples, raisins and spices, decorated with sliced apples and brushed with apricot glaze. Chocolate sponge cake brushed with liqueur than filled with an assortment of creams all topped with chocolate. Crisp short pastry base filled with pastry cream topped with slices of fresh apple and baked with a brushing of apricot glaze. Traditional Italian wedding cake; Two layers of sponge cake brushed with Benevenuto liqueur filled with Italian orange pastry cream and decorated with milk chocolate curls. Soft chocolate cream and curacao flavored pastry cream on a short pastry base. Decorated with strips of dark and light crust and milk chocolate curls. Three layers of rich espresso soaked sponge cake separated by layers of rich coffee cream than dusted with cocoa powder. Delicate sponge cake covering a classic chocolate Chantilly cream with fruits and chocolate drops. A fragrant short pastry dough crust filled with lemon pastry cream and topped with lightly browned Italian meringue. Crisp short pastry base filled with custard cream topped with assorted fruits. Confectionery cake composed of three layers of sponge cake brushed with Amaretto and filled with cream. Decorated on the sides with crushed macaroons and topped with Chantilly cream and Amaretto cookies. Confectionery cake composed of three layers of sponge cake brushed with coffee liqueur and zabaglione flavored cream then dusted with cocoa powder. Traditional dessert from Napoli; oven baked cake composed of a short pastry crust filled with milk curd; wheat, eggs and cubes of candied orange decorated with strips of short pastry dough. Fragrant short pastry crust filled with Chantilly cream and topped with assorted forest fruits and dusted with powdered sugar. Fragrant short pastry crust filled with a layer of cherry and decorated with rosettes of coconut paste brushed with apricot glaze. Traditional Italian cake; Two layers of chocolate sponge cake brushed with Maraschino liqueur filled with a rich hazelnut cream topped with hazelnut Chantilly cream and decorated on the sides with crushed toasted Hazelnuts. Tiramisu’ means “pick me up” in Italian. It is usually made up of a layer of sponge lady fingers, which are soaked in coffee and liqueur. A layer of rich creamy Mascarpone cheese mixture is then laid over and finished with a dusting of cocoa powder. Chocolate Lovers! Created with 7 layers of sponge cake, chocolate mousse, chocolate hazelnut cream and chocolate ganache. Our marble top coffee bar services Espresso, Hot or Iced Cappuccino, Café Latte, Hot or Iced Coffee and Hot Tea. Enjoy a beverage with a slice of cake in our calming and soothing seating while browsing the internet with our FREE WIFI or catching up with a friend.